Michelle Smith swears by five paint colors that bring her spaces to life: beige, blue-green, gray, black & white. It’s official: I have a new lady-crush. 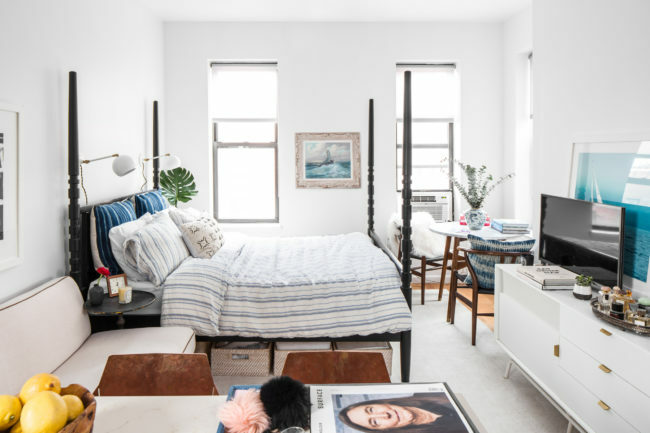 After basically drooling all over Michelle Smith’s Greenwich Village apartment featured on One Kings Lane last week, here she is featured again in Lonny Magazine. Even better, it features her shingle style cottage in (be still my heart) Sag Harbor, NY. The barrister-turned-interior-designer trained with Daniel Romualdez for two years before branching out on her own and opening MRS Studio (I’m even jealous of her monogram). I love how she masters simplicity and muted paint colors. Her aesthetic is understated and sophisticated. In case I still haven’t convinced you to fall head over heels in love with this talented lady, check out a day in the life of Michelle Smith. I basically want to emulate and become her now. If all it takes is to pass the bar to become such a creative and accomplished woman, sign me up for Harvard Law right now (can you tell I’ve been watching Suits)? Sources: all images via Lonny and MRS Studio. Gosh that home is incredible. Love the fresh/organic feel of it. And adore all of the pieces that you chose esp that owl hook. Hahaha I can see how it can feel a little awkward but it’s also kind of cool – you should own it!! lady crush indeed!! OOOHH boy!